We have certified arborists that can trim & prune trees for you with professional care so that your trees heal up fast and it maintains its great shape. There's various trees you do not want to prune in certain seasons because of the potential of fungi or other diseases that is more active in that particular season. With our 25 years experience we know all about the arbors in Grand Rapids and know how to properly tend to them so that they are not hurt during the process. 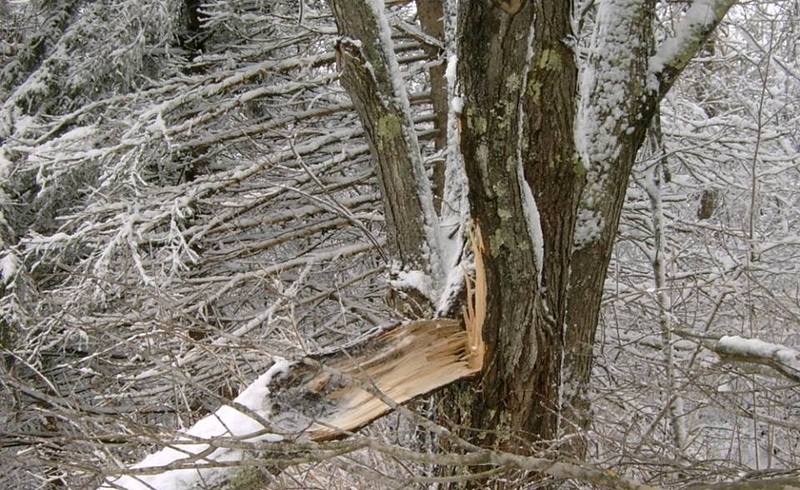 Sometimes parts of the tree dies for various reasons, it could be a disease or a lightning strike. A lot of times the tree can be salvaged by simply trimming the dead branches. Leaving a dead branch on a tree is dangerous because you don't know when its going to fall down. We can handle difficult branch removals such as if it is hanging over the house, we have bucket trucks and master tree climbers that can take out even the hard to reach branches. We are true professional tree care guys that's got a lot of experience. All of our crew members are family guys that have clean track records, show up to work sober and ready to work and give you the best West Michigan Tree Service. We're available all season. Always fair and honest with our quotes. And we do very reputable work that gets a lot of word of mouth referrals. Proper apple tree pruning can actually increase the volume and quality of your yield by pruning off unnecessary branches that was sucking up nutrients so that more of it goes towards the fruits in the upper branches. Our certified arborists knows how to tend to your fruit trees properly so that you get great tasting fruits this year, best time to prune is in the winter time right before spring starts when the worst part of winter just beginning to pass. We put customer service before anything else. If a tree does not need to be removed, we will tell you honestly. Maybe it simply needs the few excess branches cut down so that it regains structural integrity again. This is why we will come look at your tree in person and give you honest feedback on what we believe is required based on our 25 years experience. We are very easy to work with, and have a large repeat customer base because we are honest with people. We want you to save money and save a tree if complete removal is not required. Believe it or not, our company is a very green company because we tend to and take care of many trees each year so that they can come back alive.